Candidates seeking for admission into the programme leading to the Bachelor of Pharmacy (B.Pharm.) Degree must satisfy the minimum entry requirements of the University. In addition, the following requirements apply to the College of Pharmacy. Candidates seeking Direct Entry Admission to 200 level of the programme must in addition to the requirements above, hold at least a Bachelor’s degree (2ndClass Hons. From a recognized University) in Chemistry or the Biological Sciences or have passed Physics, Chemistry and Biology or Zoology at the GCE “A” Level or HSC at not more than two sittings. Candidates who passed Botany in Lieu of Biology or Zoology may be considered for admission. A pass in Mathematics or Statistics at GCE “A” Level may be accepted in lieu of Physics. A pass at the HSC General Paper may be accepted in lieu of credit in English Language at the GCE “O” Level or WASC/SSCE. Mathematics: Candidates who have passed Mathematics at advanced level (GCE) or HSC or the University 100 level Mathematics course may be exempted from mathematics at the 200 level. Physiology, Anatomy and Biochemistry: Candidates who have passed these courses at 200 level at Igbinedion University, Okada or degree holders in these subjects may be exempted from these courses as appropriate. 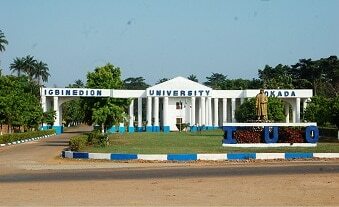 General Studies: Candidates who have already passed the General Studies courses of Igbinedion University, Okada may not be required to register for these courses.